(1846-94) M.A., F.R.A.S., F.R.S.C. 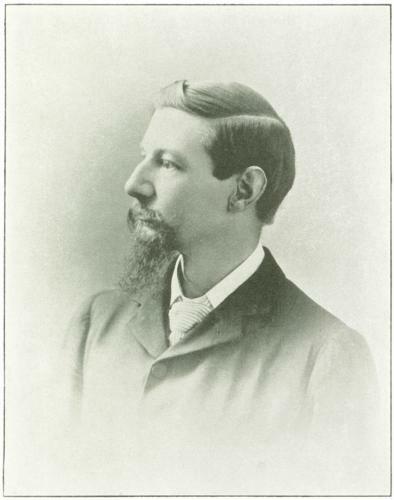 Director of the Magnetic Observatory (Toronto), and Superintendent of the Dominion Meteorological Service (1876-94). President of the Society (1890-94). CHARLES CARPMAEL (1846-94) was born in England and graduated in Mathematics from Cambridge. One of a large family, he and two brothers were fellows of the RAS. He came to Canada, commencing work with the Meteorological Service as G. T. Kingston's Assistant in 1872 and eventually succeeding him as Director in 1880. One of his first duties was to investigate a violent storm which caused much destruction along the southeast shore of Nova Scotia in 1873. Carpmael had some astronomical background. He was a pupil of Chades Pritchard, later Savilian Professor of Astronomy at Oxford, and he participated in a British eclipse expedition to Spain in 1870 where he made spectroscopic observations of the corona In Canada, astronomy was not often part of Carpmael's official duties but the Dominion Government did place him in charge of the transit of Venus observations in 1882 and he did determine the longitude of the Toronto Observatory in 1888. Within the Society he was always willing to act as an advisor, and welcomed members to the Observatory on a few occasions. But he was not in good health and only chaired 11 of the 125 meetings which were held during his four-year Presidency. He returned to England where he died at the age of 48. CHARLES CARPMAEL, M.A., F.R.A.S., F.R.S.C., was born September 19th, 1846, at Streatham Hill, Surrey, England, and was educated at Clapham Grammar School. He gave his attention particularly to the study of mathematics and natural science, and m 1865 obtained a scholarship at St. John's College, Cambridge, going into residence in that institution in the same year. In 1868, he obtained a foundation scholarship, and in January, 1869, entered for the mathematical tripos, and was classed sixth in the list of wranglers. In 1870, Mr. Carpmael was elected Fellow of St. John's College, and in the same year accompanied the British Eclipse Expedition to Spain. He first visited the United States and Canada in 1871, and remained until 1872. This visit led him to ultimately settle in Canada. On the superannuation of Prof. Kingston, in 1876, Mr. Carpmael was appointed Director of the Magnetic Observatory, at Toronto, and Superintendent of the Dominion Meteorological Service, and to him was very largely due the great efficiency of the Weather Bureau. In 1876 he was married to Julia, youngest daughter of the late Walter McKenzie, of Castle Frank, Toronto. Mr. Carpmael was a member of the first Council of the Royal Society of Canada, appointed by the Marquis of Lorne, and in 1886, became President of Section 3 of that Society. In 1888 he was elected President of the Canadian Institute, and in 1890, at the earnest request of the gentlemen who were then seeking incorporation for The Astronomical and Physical Society of Toronto, he accepted the Presidency of that Society, which office he held until his decease. For some time before Mr. Carpmael's death his health had become impaired and he was advised to spend some time in the South of England, in the hope of ultimately recovering. The journey was made but did not result in improvement, and on October 21st, 1894, news of his death, which had taken place at Hastings, Eng., was cabled to Toronto. Mr. Carpmael's loss was most severely felt, and particularly by those, young in scientific study, who had enjoyed the pleasure of his kindly aid and genial personality. Almost his last act in connection with The Astronomical and Physical Society was the arranging for systematic observations of magnetic disturbances, more especially in connection with Earth Current phenomena. A memorandum on the subject appears in the report for 1894. A likeness of Mr. Carpmael faces the title page of this volume. —1894 Transactions of the Astronomical and Physical Society of Toronto.